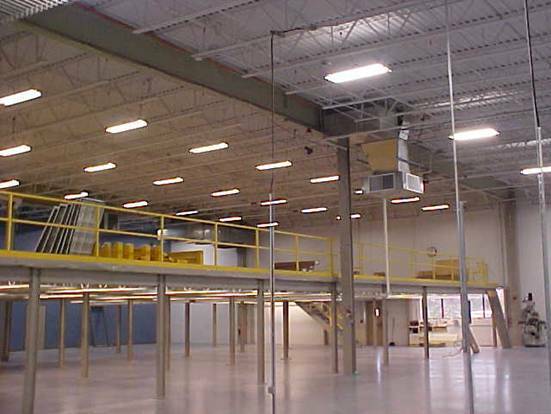 Retrofitting an existing building to meet the office, production, and laboratory needs of the new tenant. Working with the architect, the Cleveland Design/Build team came up with an open air spiral system for air ventilation to mesh with the company's vision of how they wanted their building to look. Our design called for an HVAC System for a bull-pen area that would serve the cubical offices which would accommodate a large number of employees. The end result gave Aclara and employees a better zoning system for their heating and cooling needs as well as redundancy, giving them more control over their air distribution. The design incorporated spiral stainless steel ductwork that wrapped around the entire bull-pen area to evenly distribute air as well as appeal to the aesthetic of the architect's vision. Rooftop units were crane-lifted on top of the existing building, and technicians installed them as well as all supply and return ducting throughout the entire building, including the master server room.